This year’s midterm elections are centered around the battle between the Republicans and the Democrats to have control of the Senate for the two final years of President Obama’s term. The GOP have been confident of their ability to gain control of the Senate this November, but that should not be taken as an indication that there is a significant shift to the right in the political thinking of voters, it is simply a matter of timing. The 33 seats that are being contested this year (plus 3 special elections, but I do not expect any of those – Hawaii (Dem. ), South Carolina (Rep.) and Oklahoma (Rep.) to change hands) were last up for grabs in 2008, when President Obama won by a landslide and helped sway the vote in some states where Democrats have not traditionally done well. Also, at a time when Congress has a 14% approval rating, being an incumbent is not so much of an advantage anymore and 20 of the 33 Senate seats up for election have Democratic incumbents. This will all shift in 2016, when the seats that were last contested in 2010 – a year when the Tea Party movement was at its apex and helped the GOP perform outstandingly in a midterm election – will see 24 Republican Senators facing re-election contests, compared with just 10 Democrats. Since that will also be a Presidential election with no incumbent running for the White House, turnout is likely to be high, something that currently favors the Democrats – if you want proof of that, it is the GOP who are moving to disenfranchise people by limiting early voting and introducing barriers prevent some from being able to cast votes in several states, under the guise of preventing (virtually non-existent) voter fraud. House of Representatives: Control will be maintained by the Republican party, regardless of how the actual vote goes. In 2012, Democrats won 201 seats to the GOP’s 234, despite the fact that they won a total of 1,417,278 more votes than the Republicans in Congressional ballots. That is thanks to the redistricting efforts from 2010, which led to huge gerrymandering – something that both parties are to blame for and is completely counter to the democratic process. If you do not think it’s a problem, I invite you to look at the following districts (out of many I could have chosen): North Carolina 12th; Illinois 4th; Pennsylvania 7th; and Texas 35th. 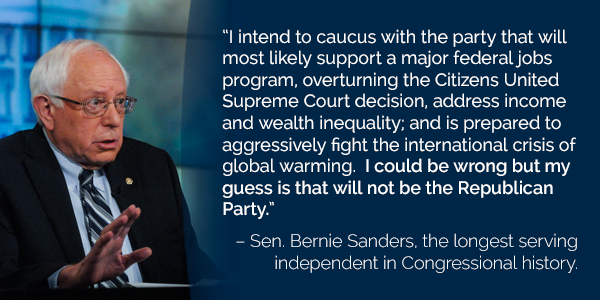 *Both current Independent Senators, Angus King (ME) and Bernie Sanders (VT) caucus with the Democrats, though as the pictured quote shows, Senator Sanders is open to changing that fact…but probably not. Perhaps with the exception of Michigan, none of these have the remotest chance of switching to Republican, even with turnout being lower in a midterm contest. Senator Cory Booker won a special election in 2013 and the former Mayor of Newark – who one day soon could be on a Presidential ticket, perhaps as a VP candidate – should easily win a full term to represent the state of New Jersey. As you can see, both Oklahoma and South Carolina are having two Senate contests this November, as they replace Sen. Tom Coburn (OK – retiring) and Sen. Jim DeMint (SC, who left in 2013 to head up the Heritage Foundation) and the GOP will win all four of those seats. Alabama is going to be the least exciting contest in the nation, as Senator Jeff Sessions is running unopposed. In Mississippi, Senator Thad Cochran only narrowly avoided losing to even further-right candidate Chris McDaniels in the primary (McDaniels won 49.5% of the vote to Cochran’s 49% – but 50% was needed to avoid a run off) but a place that still has the Confederate flag as part of the design of the state’s flag, is not going to be won by a Democrat anytime soon. In A Theory of Justice, John Rawls argues that society should be designed from behind a “veil of ignorance” – the idea being that the person who constructs the rules, welfare system and taxation policy of a country should do so without knowing the position they will occupy within the community. This eliminates the temptation to provide privilege to the demographic to which you belong; so no gender, race or sexuality would fare better than any other, and the least well off in the nation would still be taken care of, since it was created by somebody who had no idea where they would fit in. This philosophical tool has long been something I have considered as an excellent way to approach building a just system of government, but the success of the Republican parties in elections in the United States makes it evident that people do not always vote according to their own interests, even when they know the position they hold in society. Knowing that many are convinced for one reason or another to cast their vote in a manner contradictory to what logic would suggest, it did not completely surprise me when a former boss of mine, who is African-American, in a conversation about politics told me that he was a Republican because of his economic views. On social issues, he admitted, he found the match less than perfect, but that was often outweighed by financial thoughts and thus the GOP often received his vote. What did surprise me, however, was the thought that there would be black people in the Tea Party – a far-right group that essentially grew as a reaction to the election of President Obama and a section of the political landscape I have often considered (and am not alone) to be inherently racist. This appears to be a con too far, the electoral equivalence of selling snow to the Inuits – how could the Tea Party possibly have convinced some African-Americans it was in their interest to be part of the movement? But here-in lies the rub…I do fully understand it yet. At the Conservative Political Action Conference (CPAC) in March, a video from a break-out session called “Trump the Race Card” – which was supposed to be about the frustrations Republicans felt about being called racists when they knew they were not – showed someone saying that a slave should have been thanking his former master for providing accommodation and food during his time of enslavement. 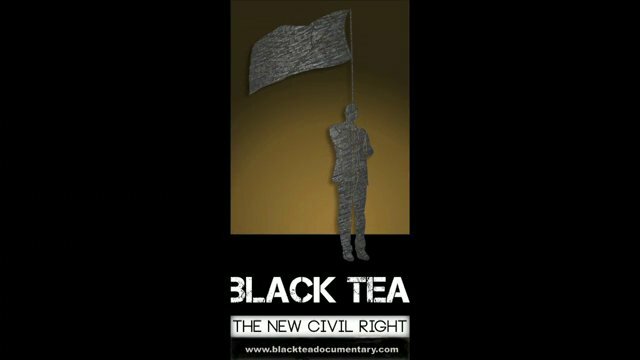 This footage was recorded by Kevin Dotson as part of a documentary he is making called “Black Tea – The New Civil Right” which promises to be a fascinating look at the reasons African-Americans have aligned themselves with the Tea Party. As with all such projects, funding is of course an issue and I encourage everyone to check out his Kickstarter page for more information about the documentary and hopefully support it too. This is a topic that I believe will be of interest to many and is important to help fully understand the current political landscape in America – not to mention, it would also enable me to finish this article. Monday April 15th – Patriots Day in Massachusetts, a state holiday when most people are off work, had started brightly in the city of Boston. The Red Sox played a morning game at Fenway Park and won in the ninth inning – with all of the players wearing number 42 to celebrate Jackie Robinson Day – also today- in Major League Baseball. The marathon, run every year on this Monday, was in full swing and the elite runners crossed the finish line at around 1pm local time, while the pack continued to slog their way around one of the toughest courses over 26.2 miles. However, as the race clock was approaching 4 hours and 10 minutes, the priority of crossing the finish line suddenly became irrelevant, as two bombs exploded, killing at least 3 people – including an 8-year old boy – and injuring more than 130. To say that running a marathon is hard is trite – of course dragging your body around 26.2 miles by foot is a feat of endurance, no matter how long it takes – but if your aim is just to complete the race, it is within most people’s capabilities. I have completed five of them, with times ranging from a respectable – but far from quick – 4hrs19 mins 57 seconds, to a struggle of 5hrs8mins around the New York course, a month after I suffered an ankle injury playing football. Something happens to me anywhere between miles 18 to 24 where I shut down mentally and/or physically and am unable to push myself to achieve the time goals I have set for myself, which from my first marathon in 2004 has been to break the four hour barrier. Nevertheless, on all five occasions I have gotten myself to the finish line, taken my medal and been disappointed by my time, while being pleased that it is over and money has been raised for charity. What I have never experienced, is the exhiliration of achieving a different goal, one that many of my fellow running friends have managed – qualifying for Boston. There is something reverential about the way that distance runners talk about that marathon – just naming the city as your aim explains what your goal is – you are going to run 26.2 miles fast enough to get into the Boston Marathon – which has a graded time qualification entry system based on a person’s gender and age – for me, that would mean completing the distance in 3hrs 5 mins, a pace of 7 mins 4 seconds per mile. The point of all of this is to say that the very fact that although it measures the same distance as all of the others, the Boston Marathon – which also provides a challenging, hilly course for its competitors – has a special reverential place in the running community and those were competing in it today, were more than just your average marathoners. 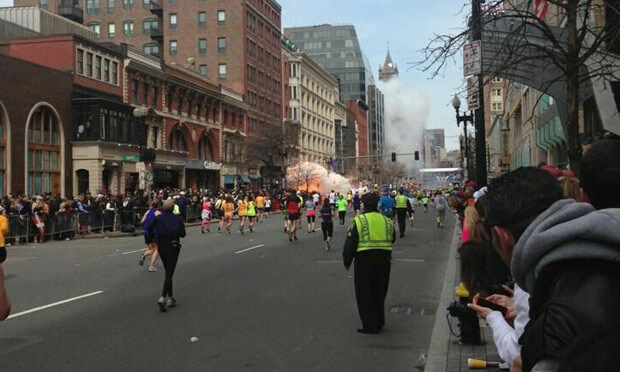 They were more than just your average people, too – reports came from local hospitals in the city that many who had completed the event, found their way to a place where they could then donate blood to aid those who had been injured, while many runners and officials at the scene were shown running into the area where one of the bombs had exploded to provide assistance. Once again, a senseless act of violence has claimed the lives of innocent people – including a child – and we are forced to confront the reasons that our safety feels threatened. The biggest question that the news organisations have been raising is was this domestic of foreign terrorism and, depending on the answer, different narratives will immediately be played out. If it is discovered to be a group linked to Al Qaeda, then there will be calls for the United States to seek vengeance on whichever country the perpertrators are linked to, but if it was a far-right group who carried out the attack, they will be identified as an individual or small group of people who were lone wolves, without a wider cause – they will be captured and everybody will move on. This is exactly what happened after the Oklahoma City Bombing – Timothy McVeigh was labelled as the man outside of the system who had carried out the attack, he was tried, convicted and executed and the threat was eradicated. Right? As Jeff Bridge’s character – Michael Faraday – says in Arlington Road, our security is returned because we know the name of the man (domestic or foreign, I can guarantee it will have been a man or men who carried out this attack). On Friday morning, one the most deadly mass shootings ever in the history of the United States, took place at a primary school in Newtown, Connecticut, with a gunman claiming the lives of 26 people, including 20 children between the ages of 5 and 10. Twenty young boys and girls taken from the world far too soon, who will not be tucked into their beds by their parents tonight, who have been senselessly and brutally murdered just because they showed up for school today. It is impossible to explain the depths of despair that those who have lost their sons and daughters; or brothers and sisters; friends and classmates; teachers and parents; members of the community will be feeling tonight. The streets of heaven are too crowded with angels tonight. When tragedies like this occur, one of the first things that is reported by the media is whether or not the perpetrator acted alone and if they are among the dead. This helps us as a society to cope with the situation – we can point at the evil man (and it almost always is a man) who has done this to us and be glad that they are no longer a threat. While the events that have transpired may be beyond comprehension or belief, they are over and the guilty party can do no more harm. Even after the terrorist attacks of September 11th, 2001, the primary focus of “payback” was finding and killing Osama Bin Laden – one man who embodied the wrong that was done, as if eliminating a single person can prevent further bad things from happening. Yet this provides a false sense of security – as long as guns are as prevalent and readily available as they are, there will always be another mass shooting somewhere, be it a primary school in Connecticut, a mall in Oregon, a movie theatre in Colorado, or a Sikh temple in Wisconsin. In the aftermath of these massacres, we are told that it is not the right time to talk about gun control and to do so would be to use a tragedy for political gain, but those protestations are in themselves merely a tool for people to avoid a conversation about which they know they are wrong. Even if you do not agree with my interpretation of the Second Amendment – a self-evident truth must be that when the Founding Fathers adopted it as part of the Bill of Rights, this was not the vision of America that they had in mind. The mantra of “guns do not kill, people do” will be used in defence of weapons that have one purpose – to take lives. Perhaps if a madman is intent on murdering others, they will do so with other instruments, but nothing else has the brutal effectiveness, speed, and efficiency of a gun. All of us who are parents will have hugged our children a little tighter today, inside feeling lucky that it was not us who have to endure the unthinkable tragedy of losing a son or a daughter, especially at such a young age. But as a society, we cannot leave such things to fortune – we should be able to send our kids to school without having to fear deep down that the next news story will be coming live from our own community. At best, President Obama may now manage to pass a gun control law that limits sales of automatic and semi-automatic weapons, but what is needed is a complete overhaul of the system. An amnesty program for people to turn in their guns voluntarily, alongside a dramatic reduction in the licenses that are given out – in my opinion the only people who should be legally allowed to carry a firearm are law enforcement officials and those who need to protect their families from wildlife such as bears. Not only this, but there needs to be a review of the mental health treatment that people receive in this country, as far too many people fall through the cracks and do not receive the help they need. One of the two students who carried out the Columbine High School Massacre – Eric Harris – had previously told a psychologist that he was depressed, angry and had suicidal thoughts, as a result he was prescribed Zoloft. Without his mental health issues being addressed in any manner other than medication, and with guns and ammunition easily available to him despite his age, Harris -along with Dylan Klebold – was able to claim the lives of 13 others before following through on those suicidal thoughts. There could be a similar story to come out of the tragedy that happened today, or perhaps there will be from a future massacre. Unless as a society we initiate serious changes to gun laws and mental health treatment, there will be more of these incidents – surely we do not want to leave it just to chance that it will not be our own family or community that has to deal with the next one. Article I Section 8 of the Constitution allows for the creation of a District, outside of any state, which could act as the seat of the Federal Government, but it does not specify where it should be located. On July 9th, 1790, the Residence Act was passed by Congress that approved the building of the national capital on the Potomac River, taking part of the land for it from Maryland, the rest from Virginia, which later received the territory back. Much of the work on the construction of Washington D.C. was performed by enslaved African-Americans, a fact that Congress commemorated with a plaque inside the U.S. Capitol in 2010. In August of 1814, during the War of 1812, the British burned several public buildings, including the White House, Capitol and Treasury – most of which were reconstructed quickly, with the exception of the Capitol, which was not finished until 1868. President Lincoln created the Army of the Potomac during the Civil War to ensure that the Union’s capital was not captured by Confederate forces during the conflict. In 1862, Lincoln signed the Compensated Emancipation Act that ended slavery in the District, which resulted in many free black people moving there and it saw a sharp rise in population. Shortly after the Civil War had ended, on April 14th, 1865 President Lincoln was assassinated by John Wilkes Booth in Ford’s Theatre in Washington, during a production of Our American Cousin. The ratification of the Twenty-First Amendment in 1961 provided Washington D.C. with three votes in the Electoral College, providing its citizens – who have no Senators and only a non-voting at-large Representative in the House – with their first representation of any form in the Federal Government. 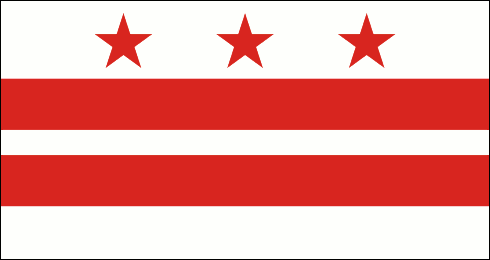 The District of Columbia Home Rule Act, passed in 1973, provided the city with an elected Mayor and a 13-member council. Washington has four “Big Four” sports teams – the Washington Capitals (NHL); Wizards (NBA); Nationals (MLB) and the Washington Redskins (NFL), whose last home game has been indicative of the Presidential election result. Since they moved to the Capital in 1937, when the Redskins have won their last home contest prior to Election Day, the incumbent party have kept the Presidency, lose and the White House has shifted between the Democratic and Republican Parties. This has held true for 17 of the 18 ballots that have taken place in that time – the exception being President Bush’s re-election in 2004 after the ‘Skins had lost – which is bad news for President Obama, as the final score on Sunday was Carolina Panthers 21, Washington Redskins 13. The District of Columbia has voted for the Democratic candidate in every single contest since it was granted Electoral College Votes in 1961. That will not change this time around, as President Obama will win the District’s 3 ECVs this time around. The last few days, Fox News and their pundits have been pushing forth theories that early voting numbers for President Obama are far below what they were in 2008 and, even though he is behind right now, this is meant to be indicative that Mitt Romney will win as Republicans perform better on Election Day. I also have a fear that the aftermath of Hurricane Sandy in New Jersey could result in a low turnout and – given that the majority of the ongoing power outages are in areas of the state that were strongly Democratic in 2008 – a surprise win for Governor Romney. Plus, there have been reports from Miami of polling stations being closed to prevent people from being able to cast their ballots yesterday, obstruction that is likely to intensify on the actual day of the election. Safe: Alabama; Mississippi; Georgia; Louisiana; Arkansas; South Carolina; Missouri; Tennessee; Kentucky; West Virginia; Oklahoma; Nebraska; Kansas; North Dakota; South Dakota; Arizona; Utah; Idaho; Wyoming; Montana; Texas; Indiana; Alaska. Safe: Maine; Massachusetts; Connecticut; Rhode Island; Vermont; New York; New Jersey; Delaware; Maryland; District of Columbia; Illinois; Minnesota; New Mexico; California; Oregon; Washington; Hawai’i. Swing: New Hampshire; Pennsylvania; Wisconsin; Michigan; Ohio; Virginia; Nevada; Iowa. The islands that make up Hawai’i are the world’s most isolated land mass, located in the Pacific Ocean nearly 2,400 miles from California and more than 3,800 miles from Japan. The first settlers to the archipelago were estimated to have arrived more than 2,000 years ago and are believed to have travelled from the Marquesas Islands – in Southern Polynesia – in double hulled canoes, a journey that would have taken at least four months, without any opportunities for stocking up on food or water. The society on the islands developed mostly secluded from the rest of the world, until Captain James Cook sighted O’ahu in 1778 on his third expedition in search of a northwest passage between the Atlantic and Pacific Oceans. The arrival of the British explorer resulted in the introduction of venereal diseases to the island and, when Cook returned to Hawai’i – which he named the Sandwich Islands, after the 4th Earl of Sandwich – in 1779, he ended up in battle with the natives after taking the King of the Big Island hostage, in an attempt to secure the return of a boat that had been stolen. In the ensuing skirmish, Cook was killed, along with four of his men and 17 Hawaiians. Up until 1810 the islands had been individually ruled, but were then united by King Kamehameha I, who had been the Chief of the Big Island and undertook a twenty year military and diplomatic campaign to take over the entire chain. After his death in 1819, he was replaced by his son, Liholiho, who became Kamehameha II and abolished the kapu system in Hawai’i, which had such arcane rules as men and women not being allowed to eat together. During the 1830s, foreigners recognised the potential for growing sugar in Hawai’i and the influx of labourers to work in the industry led to the spread of diseases such as smallpox, typhoid and influenza, causing a sharp decline in the native population. When the Civil War broke out in the USA, the northern states could no longer obtain sugar from the south, so turned to Hawai’i for the product instead. Although sales decreased after the conflict ended in 1865, a reciprocity treaty that ended import taxes for the Kingdom of Hawai’i, while giving the US control of Pearl Harbor, resulted in a production boom and by 1883, the island chain’s output of sugar reached 114 million pounds. In 1887, King Kalakaua was forced by revolutionaries to sign the Bayonet Constitution, stripping him of most of his powers and which also restricted voting to the rich, white, land owners. After Kalakaua had died, his sister, Queen Lili’uokalani began to draft a new constitution that would give the monarchy back its control but, in 1893, she was overthrown by a group known as the Honolulu Rifles, who received backup by sailors from the USS Boston that had been docked in Honolulu. Lili’uoklanai, wanting no bloodshed, stepped down under protest and was replaced by a provisional government – 18 months later, the Republic of Hawai’i was declared. In July of 1898, President McKinley signed a resolution approving the annexation of Hawai’i to the United States, in part because of the Spanish-American War that had broken out three months earlier and required US troops to cross the Pacific to fight in the Philippines, making the island chain a perfect staging post for the conflict. On December 7th, 1941, forty-one years after Hawai’i had officially become a US Territory, Pearl Harbor and other military installations on O’ahu were attacked by Japanese planes, resulting in the deaths of more than 3,000 people and pushing the United States into World War II. After several attempts at statehood had failed, on August 21st, 1959, President Eisenhower signed the admission act that made Hawai’i the 50th state of the Union, the last (thus far) to join. Although there are hundreds in the archipelago, Hawai’i has 8 main islands: Ni’ihau, Kaua’i, O’ahu, Moloka’i, Lana’i, Kaho’olawe, Maui and Hawai’i – also known as the Big Island. From west to east, the state spans 1,500 miles, while its land area is the 8th smallest in the US and, with more 1.3 million residents, it ranks 40th in population. Hawai’i’s main economic sectors are tourism and agriculture, with its main outputs being pineapples, macadamia nuts, livestock and coffee – the last of which it is the only state in the USA to produce. There are many volcanoes in the state and Kilauea – on the Big Island – is considered one of the world’s largest and most active. One President of the United States was born in Hawai’i – Barack Obama (yes, he was) – who returned to the state, after he had left with his mother at less than a month old, to attend high school in Honolulu. It is one of four states that had been independent prior to becoming part of the United States, along with Vermont, Texas and California. Since becoming a state in 1959, Hawai’i has voted for the Republican candidate in Presidential elections twice – Richard Nixon in 1972 and Ronald Reagan in 1984, both of which were landslides where the incumbent President carried 49 of the 50 states. In the other 11 contests, the Democratic Party have taken its Electoral College Votes and will again, as Hawai’ian born President Obama has a huge lead in the polls. Congress: There is one Senate contest in Hawai’i this year, with incumbent Democrat Sen. Daniel Akaka (D) not seeking re-election after serving for 23 years. The race to replace him is between Rep. Mazie Hirono (D) and Republican, Linda Lingle, who served as Governor of the state between 2002 and 2010. Hirono is expected to win the election and keep the seat for the Democratic Party. Hawai’i has two Representatives in the House, with both of the current delegation being female Democrats. With Hirono contesting the open Senate seat, 31-year-old Tulsi Gabbard is the Democratic Party’s candidate in the 2nd District this November and she is expected to beat the Republican, David Crowley. Prior to the arrival of settlers from the Old World, Alaska was home to numerous groups of indigenous people, including the Tingit, Inuit and Aleut – the latter tribe lost more than 80% of their population when they were exposed to new diseases from the pioneers, against which they had no natural immunity. Russian explorers in the 18th century were the first recorded Europeans to set foot in the region and they were able to traverse from their homeland on foot during the winter, over what is now known as the Bering Land Bridge. In 1784, Grigory Ivanovich Shelikhov established Russia’s first settlement in the region, at Three Saints Bay on Kodiak Island, with several more being set up in the next few years. The Russians were primarily focused on whaling and the fur trade, gaining a monopoly on access to sea otters, who were particularly valuable due to the thickness of their fur. Spain and Britain also both attempted to colonise Alaska but – even though Russia never fully achieved that aim either, with the population of Russian-America reaching just 700 at its peak – it was able to hold on to control of trade in the region. In 1867, for fear of the region getting into British hands and because of financial troubles in their homeland, Russia agreed to sell Alaska to the United States for $7.2 million. Originally the purchase was considered to be a frivolous waste of money – referred to as “Seward’s Folly”, after Secretary of State, William Seward, who had instigated the transaction – but the discovery of natural resources that followed proved it to be a fantastic acquisition. Gold was found in the Yukon Territory of Canada in 1896, which helped the Alaskan economy as it provided the easiest transportation route to and from there; and the precious metal was also unearthed in Nome three years later. The gold rush in Alaska resulted in the establishment of more towns, including Fairbanks, and in 1903, construction began on a railroad in the district, to aid transportation of goods. The Territory of Alaska was organised by Congress in 1912 and at the time there was very little interest in them becoming a state, even from those who lived there. During the Second World War, the Japanese launched an attack on Dutch Harbor, on Unalaksa Island, in 1942 and, although this failed, they captured two of the Aleutian Islands – Kiska and Attu – in the subsequent days. Both were regained by the US the following year and, in order to provide more protection to Alaska, military bases were constructed in the territory, which also had the effect of increasing the population. In order to make it easier to send supplies from the United States during the war to their allies the Soviet Union, the Alaska-Canada Military Highway was constructed in 1942, which was the first overland connection between itself and the mainland. On January 3rd, 1959, Alaska became the 49th state of the Union. It is the biggest in area and, with just over 700,000 residents – the fourth fewest – it is the least densely populated in the United States, with just 1.26 citizens per square mile. Oil has been a major driving force in Alaska’s economy, with various discoveries of the fuel there in the last century, but that has not been without its drawbacks. In 1989, the Exxon Valdez tanker ran aground and spilled 11 million gallons of crude oil into the sea, affecting more than 1,000 miles of coastline and decimating the local wildlife. The energy sector – which includes natural gas as well as oil – accounts for four-fifths of the state’s economy, with the remainder primarily consisting of shipping; exporting seafood, particularly salmon, cod and crab; and tourism. There are (unsurprisingly) no “Big Four” franchises in the state, whose official state sport is dog mushing. Alaska has voted for a Democrat in a Presidential election just once since it became a state – giving its 3 Electoral College Votes to Lyndon B. Johnson in 1964 – with the GOP winning all of the other 12 contests, including in 2008, when Sen. John McCain’s running mate was the previously little known Governor of Alaska, Sarah Palin. The Republican’s winning streak is not going to end this time around as polling is not even being done in a state which is sure to be won by Governor Romney. Congress: There is no Senate election in Alaska this year and the state has just one Representative in the House, with the incumbent, Rep. Don Young, seeking a twenty-first term in office, having first been elected in 1973. The Democratic candidate is Sharon Cissna, but polls favour Young remaining in Congress for at least another two years. Following the Civil War – which had one conflict in Arizona, the Battle of Picacho Pass, the westernmost skirmish of the campaign – Texans migrated to the region and introduced ranching, and there was a copper boom in the Territory in the 1880s, after a smelter had been opened there and national demand increased for the metal in electrical wiring. Arizona’s economy grew further when the railroads reached there that same decade, while the territory was also at the heart of the “Wild West”. One of the most notorious towns during that period was Tombstone, which was the site of the infamous Gunfight at the O.K. Corral, when outlaw cowboys, Billy Clanton and Tom & Frank McLaury were killed by the lawmen, Virgil, Morgan and Wyatt Earp, who were aided by Doc Holliday. On February 14th, 1912, Arizona became the 48th state of the Union and the last of the continental ones to join. John Wesley Powell had written about his exploration of the Colorado River, including his trek through the Grand Canyon, in 1869 and when the Santa Fe Railroad reached the South Rim in 1901, it opened up the natural wonder to more visitors. Alongside tourism, the state’s modern-day economy revolves around mining – particularly of copper – and agriculture, with its main outputs being cotton, cattle, broccoli and dairy products. In its more recent history, Arizona has been known for the passing of the controversial SB 1070 – a bill that allows law enforcement officers to racially profile people they suspect of being illegal immigrants – and for the shooting in Tuscon in January 2011, in which Congresswoman Gabrielle Giffords was targeted and shot through the head – yet somehow survived – but six other people were killed. Arizona is the sixth largest state in area and, with just under 6.5 million residents, ranks 16th in terms of population. There are four “Big Four” sports teams located there, one in each league: the Arizona Cardinals (NFL); Arizona Diamondbacks (MLB); Phoenix Coyotes (NHL); and the Phoenix Suns (NBA). The state is also home to half of the Major League Baseball teams each February and March for the Grapefruit League in Spring Training. In 1968, London Bridge – which had traversed the River Thames in the capital of the United Kingdom – was sold to Robert McCulloch, who reconstructed it in Lake Havasu City, Arizona, though he vehemently denied later British claims that he had mistaken it for the more majestic Tower Bridge. Arizona has been won by the Democratic candidate in a Presidential election just once since 1948, with President Clinton carrying the state in his 1996 re-election. If Governor Romney failed to win this state it would be a huge surprise and the odds are on him being victorious there and gaining its 11 Electoral College Votes. Congress: There is one Senate election in Arizona this year, with incumbent Sen. John Kyl (R) not seeking re-election after serving the state for three terms. The race to replace him is between current House of Representatives member, Jeff Flake (R), and Democrat Richard Carmona, with the contest currently considered a toss-up, but Flake having a narrow lead in the most recent polls. After redistricting as a result of the 2010 census, the number of Representatives in the House Arizona has will increase by 1 to 9. The current delegation is made up of 3 Democrats and 5 Republicans, with the Democratic Party expected to pick up the new district and possibly one more of the GOP seats in the 1st or 2nd district. Before European settlers arrived in the region, New Mexico was home to many different tribes of Native Americans, including the Apache, Navajo and Pueblo people. In the 16th century, explorers from the Spanish colony of Mexico traversed the land and the Province of Nuevo Mexico was established in 1598, along with the first colony of San Juan de los Caballeros. Spain had set out to exploit the indigenous population and their resources, whilst also preventing them from practicing their religion, however the co-existed peacefully for many years as the colonists also provided new farming implements for the Pueblo and a level of protection to them against other Native American nations. This changed in the 1670s, when a drought hit the area and led to famine, as well as more raids from nomadic tribes and in 1680, the Pueblo revolted against the European colonists, driving them out of New Mexico under the leadership of Popé – who had previously been arrested by the Spanish on suspicion of witchcraft. The absence only lasted 12 years before the Spanish returned to Santa Fe – which is the oldest capital city in the United States – and took back control without any bloodshed. Spain retained possession until 1821, when Mexico achieved its independence and the region remained part of the new country, until the Treaty of Guadalupe Hidalgo in 1848 ended the Mexican-American war and ceded Alta California and Santa Fe de Nuevo Mexico to the United States. The northeastern part of the newly acquired area had been previously claimed by Texas, but in the Compromise of 1850, they gave up the land in exchange for $15 million. That same year, Congress organised the New Mexico Territory, which also included the future state of Arizona and part of Colorado. With a population of over 60,000 in 1850, New Mexico sought statehood and its proposed constitution included a provision to allow the people of the territory to determine if slavery was to be permitted or not, but the divide in Congress over the issue ultimately resulted in the tabling of the bill that would have made it a state in 1861. During the Civil War, New Mexico became the western front of the conflict between the Confederates and the Union, with both claiming the Territory as their own. In 1862, while trying to forge a path to California, which was controlled by the north, the Confederate Army defeated the Union in the Battle of Glorieta Pass. Nevertheless, the south’s supply train was destroyed by their opponents and many of their horses and mules were killed or driven away, forcing the Confederates to ultimately withdraw all the way back to Texas. At the same time as the Civil War was being waged primarily in the eastern part of the United States, conflict was also occurring between the US army and the Navajo people in the New Mexico Territory. The indigenous tribe lived in the region that now covers the Four Corners – the meeting place of the states of New Mexico, Arizona, Colorado and Utah – and believed their homeland – located in the midst of four mountains, one in each of the cardinal directions – to be sacred and thus the Navajo sought to defend it from raids by other tribes and the military. The US had established Fort Defiance in New Mexico Territory (in an area that is now part of the state of Arizona) and, believing they were bringing in troops to wage war against them, the Navajo, led by Manuelito and Barboncito, attacked the Fort in 1860. Following this, the army pursued a course of relocating the Native Americans to a reservation in southeast New Mexico, known as Bosque Redondo. As the Navajo were unwilling to leave their sacred land, the US army – under the leadership of Brigadier General James Carleton and Kit Carlson – pursued a “scorched earth” policy, forcing them to move by burning their crops, homes and sheep, leaving them starving and without shelter. Starting in 1864, thousands of Native Americans were forced to make the Long Walk to Bosque Redondo – during which they were subjected to brutality by the troops who accompanied them, with a shoot-to-kill policy in place to quell anyone who showed dissidence, young Navajo girls raped and pregnant women shot if they were unable to keep up. Alongside this barbaric treatment, they also faced other travails on the long journey, such as the crossing of Rio Grande, which resulted in many drowning as they were unable to swim; there was little food available; and they faced attacks from other tribes along the way. Around 53 separate journeys were made by groups of Navajo, with an estimated 2500 dying en route and a further 8500 held at Bosque Redondo, where they continued to face terrible conditions. The US had incorrectly assumed that the Navajo, who were primarily hunters and warriors, could adapt to be farmers like the Pueblo people, and those held on the reservation suffered diseases, starvation following a drought, and raids from other Native American nations. In 1868, a Peace Commission was dispatched from Washington – including the Civil War General William Tecumseh Sherman – and, following an impassioned plea by Barbancito, a treaty was signed that allowed the Navajo to return to their sacred homeland. In 1878, the Santa Fe Railroad reached New Mexico and the territory grew rapidly over the next 30 years, helped by an irrigation project in the Pecos Valley 1889, which encouraged farmers, cattle ranchers and miners to migrate to the area. On January 6th, 1912, New Mexico became the 47th state of the Union, its current population of just over 2 million residents ranks 36th in the country, while it is the 5th largest of the 50. During the Second World War, Los Alamos was the location for the development of the world’s first atomic bombs, with the weapons being tested at the Trinity Site in the middle of the New Mexico desert. Its economy is now based around energy, where it ranks third in the nation for the production of crude oil and natural gas; agriculture, with its main outputs being cattle, dairy products, pecans and chile peppers; and Federal Government jobs, in particular the military, as three air force bases are located in the state. The first space tourism company, Virgin Galactic, has its world headquarters in Las Cruces and is in the final stages of testing its aircraft before it will send ordinary citizens into space – with Stephen Hawkings, Tom Hanks, Brad Pitt and Angelina Jolie all reportedly being ticket-holders. Aside from trips to the cosmos, New Mexico is also a place to go if you enjoy funny place names – the town of “Truth or Consequences” is just South of “Elephant Butte”. It also cannot be left unmentioned that Albuquerque is the setting and filming location for AMC’s Breaking Bad, the TV show about a chemistry teacher turned meth cook. Democrats have won New Mexico in 4 of the last 5 Presidential elections, with the once exception being in 2004 when President Bush carried the state. Prior to Bill Clinton winning there in 1992, GOP candidates had recorded six consecutive victories there, but the new trend appears likely to continue, with President Obama having a strong lead in the polls for this November’s contest. Congress: There is one Senate election in New Mexico this year, with Sen. Jeff Bingaman, who has served since 1982, not seeking re-election. The race to replace him is between Democrat Martin Heinrich, who is currently serving in the House of Representative for the state’s 1st District; and one of his predecessors in that role, Republican Heather Wilson, who was a Congresswoman for 10 years from 1998 onwards. Heinrich currently has a 10 point lead in the polls and the seat is expected to be held by the Democratic Party. The state has 3 Representatives in the House, of which 2 are Democrats with 1 Republican, a ratio that is expected to remain the same after this November’s ballot. The first European to explore Oklahoma was the Spaniard, Francisco Vasquez de Coronado, in the 16th century, yet it was the French who later claimed the region, making it part of their Louisiana Territory. The French ceded control of the land to Spain in the Treaty of Fontainebleau at the end of the Seven Years’ War in 1762, Napoleon then reclaimed it in 1800, before selling the entire colony to the United States in the Louisiana Purchase three years later. At that time, the area had been home to Native Americans from various nations including the Wichita and Apache, but other tribes from the east coast were later pushed out there by the Federal Government. In 1830, President Andrew Jackson signed the Indian Removal Act, which sought treaties with the Native Americans to move outside of the United States and into what was called “Indian Territory” – located in what is now eastern Oklahoma. The Choctaw and Chickasaw realised the inevitability of the move and migrated west; the Seminoles in Florida did sign a treaty, but it was not agreed to by the tribe and they fought two wars, losing most of their number and those that did survive were ultimately forced to the new territory; and the Creek and Cherokee were removed by the US military – the latter tribe lost 4,000 men during the march on what is called the “Trail of Tears”. The majority of the population of Indian Territory was Native Americans, but they also held around 8,400 black slaves and during the Civil War, there were both pro and anti-slavery factions within the territory. Congress passed a law that tribes would lose their appropriation money allocated to them by treaties, should they be act in a hostile manner towards the United States so, while there was no outright rebellion, there was a simultaneous internal war over the issue of slavery within the Cherokee Nation. In the reconstruction period that followed the Civil War, the Federal Government attempted to pursue a policy of assimilation with the Native American tribes, rather than one of separation, and agreements were made for cowboys to lead their cattle drives across the land; for railroads to pass through the Territory; and for some areas being opened up for white settlers. When previously unassigned areas were made available for settlement under the Homestead Act, it was done on a first-come, first-served basis which resulted in “land runs”, the most famous one occurred in Oklahoma on April 22nd, 1889, when 50,000 people raced to stake their claim to piece of the available two million acres. Some people cheated and took over a plot before the designated time, which earned them the moniker “Sooners” – which has since become the nickname of the state. In 1890, the Oklahoma Territory was organised by Congress, in the western part of the state and adjacent to Indian Territory. The leaders of the Indian Territory attempted to form their own state – Sequoyah – in 1902, but this was unsuccessful as the United States government wished for the two territories to join as one if they were to enter the Union. Ultimately the leaders agreed to this and, on November 16th, 1907, President Theodore Roosevelt made Oklahoma the 46th state of the USA, which included the areas of both former Territories. In the 1920s, there were several oil fields discovered in the state and it produced a boon to the economy which lasted until the Great Depression. The downward trend of the economy was exacerbated by what was called the Dust Bowl Era, during which dust storms blew away fertile soil from arable land and, combined with droughts and poor agricultural processes, left farmers unable to grow crops and resulted in many fleeing the state. Oklahoma’s economy continued to be based around oil until the 1980s, since when a decline has seen other sectors overtake energy, although it is still the fifth biggest producer of crude oil in the nation and ranks third in natural gas. Other major industries are aviation, the state is the global home of the maintenance and engineering departments for American Airlines; transportation equipment, where it has the highest output of tires in the country; food processing; and it also has a growing biotechnology sector. Oklahoma is the 20th largest of the fifty states and, with just under 3.8 million residents, ranks 28th in terms of population. There is one “Big Four” sports team located there, the Oklahoma City Thunder of the NBA, who were Western Conference champions last season, but lost in the Finals to the Miami Heat. The capital city is sadly best remembered as being the site of one of the worst terrorist attacks in the United States; in 1995, Timothy McVeigh carried out the Oklahoma City Bombing, using a truck bomb to blow up a Federal Building and killing 168 people, including 19 children, 15 of whom attended a day care that was in the structure. Like Utah, Oklahoma has only voted for the Democratic candidate in a Presidential election once in the last fifteen contests – Lyndon B. Johnson in 1964. This is another safe state for Governor Romney, who has a huge lead in the polls in the state and is sure to carry it on November 6th. Congress: There are no Senate elections in Oklahoma this year. The state has five Representatives in the House – the current delegation is made up of 1 Democrat and 4 Republicans, but the GOP are likely to sweep all five this time around, as Rep. Dan Boren (D) is not running for re-election in the 2nd District and the race to replace him between Rob Wallace (D) and Markwayne Mullin (R), is leaning towards the Republican candidate.